Our fuel cost has been reduced significantly because of improved design and efficiency. We haven’t seen the full benefits yet, but so far we’ve reduced our fuel consumption by roughly 12%. Willett Distillery, one of the founding members of the famed Kentucky Bourbon Trail Craft Tour in Bardstown, KY, is undergoing a major expansion of its historic distillery with the help of a Series 500 Boiler manufactured by Hurst Boiler in Thomasville, GA. The family distillery, which can trace its Bourbon distilling roots back to shortly after the Civil War, was originally the Willett Distilling Co. and was founded in 1936 by brothers Thompson and Johnny Willett whose ancestors settled in Kentucky in 1792. Slated for completion in 2016, the distillery is in the midst of an expansion which includes a bed and breakfast and restaurant to meet the increased number of tourists visiting the small town of 12,000. Current owner Even Kulsveen, who married into the Willett family in 1972, purchased the Bardstown, KY property in 1984 and formed Kentucky Bourbon Distillers, Ltd that same year. The family stopped distilling in the early 1980’s, but maintained its bottling and warehousing of spirits sourced elsewhere. However, efforts to restore the distillery, cistern room and old warehouses have been an ongoing project resulting in the distilling (in 2012) of the first batch of whiskey in almost 30 years. Son Drew Kulsveen joined his father at the distillery in 2004 and at age 34 is one of the youngest master distillers in the industry. 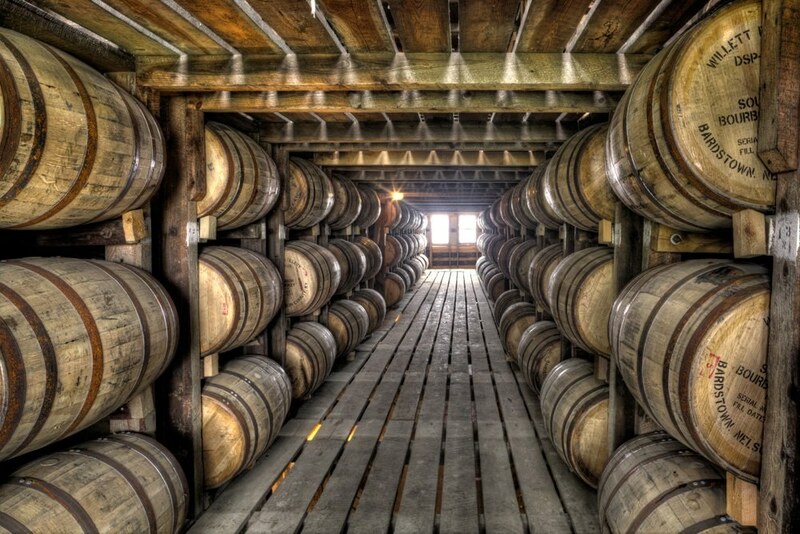 Kentucky is in the middle of a bourbon boom, with over $300 million being invested in new distilleries, tourist centers and warehouses and producing over a million barrels annually. 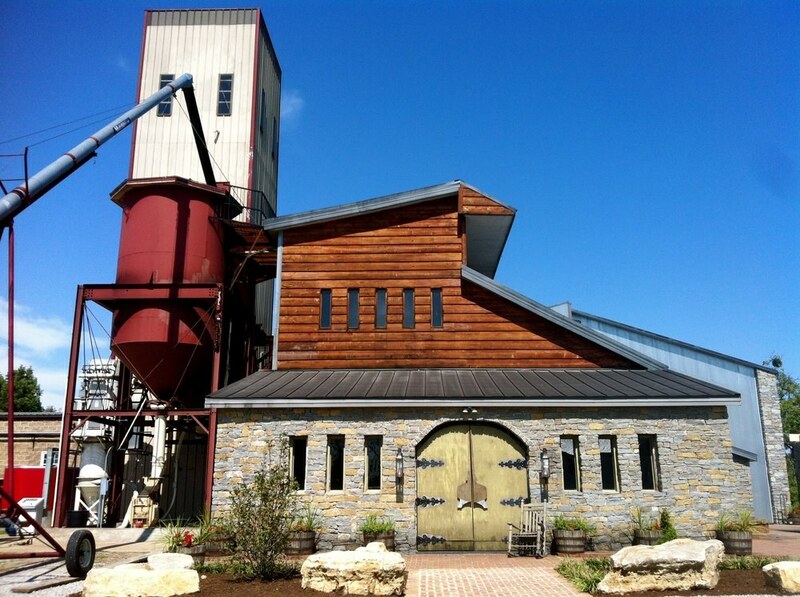 Small craft distilleries such as Willett are actually outnumbering the large distilleries in number and the craft bourbon tour is now as large as the original Kentucky Bourbon Trail. 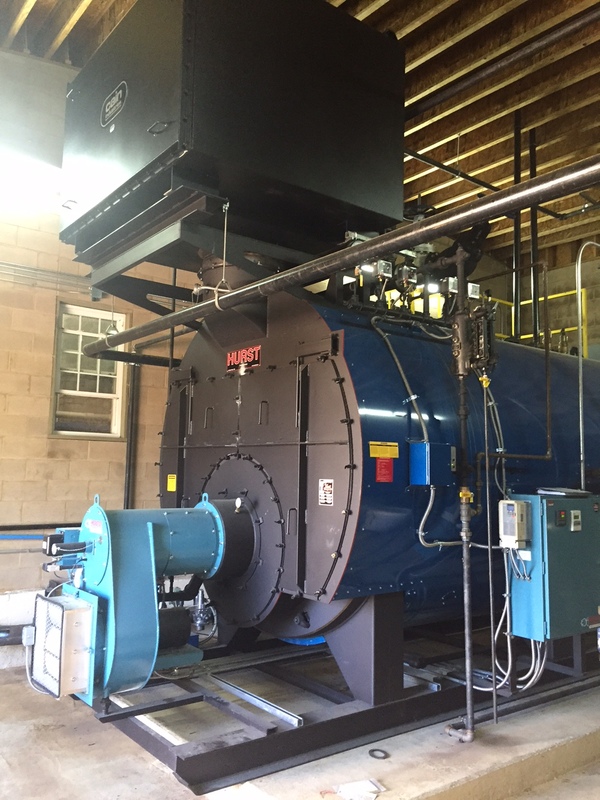 Drew Kulsveen knew that the Willett operation needed to become more efficient in order to meet the growing consumer demand for their product, and knew their current boilers were not going to be enough. “We weren’t getting enough efficiency out our boilers,” Kulsveen said. “It was taking 14 hours to accomplish what should have taken 8 hours, which amounted to an extra shift.” He said the existing boilers had too low of a threshold for the power A request for a new Hurst boiler to power the most recent Willett expansion came from the Kulsveens to Hurst Boiler representative Galan Kelly of Kelden Equipment, Batavia OH, in January of this year. The purchase order was executed in March and the start up was done on July 11. 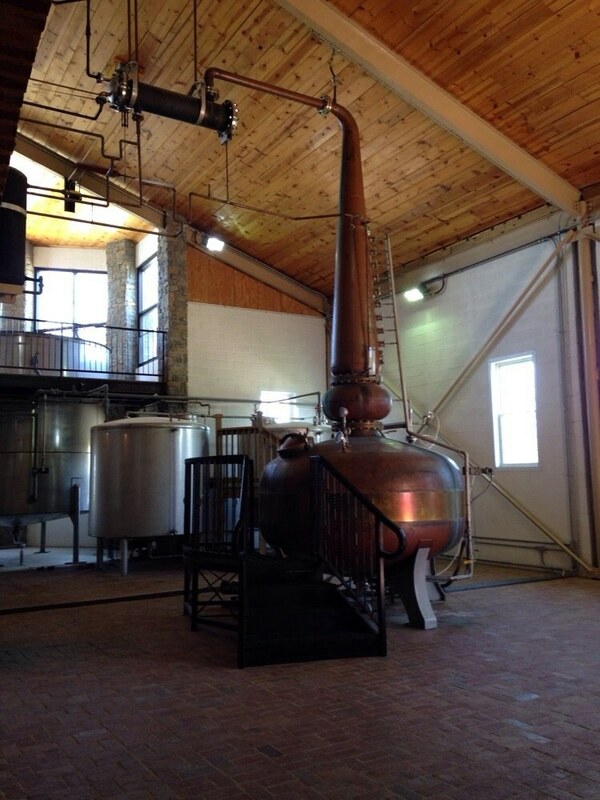 Willett purchased a Series 500 boiler (500HP boiler with 150lb design pressure) weighing 37,500 lbs and combined it with an external economizer and a Hurst Deaerator to build a custom solution to the distillery’s specific needs based on their water source. “The water (used in the distilling process) is spring fed, from Rowan's Creek, which Willett collects into a lake,” Kelly explained. “In the winter the water temperature averages 32 degrees, so the water is run through the s economizer which makes it a lot warmer and improves efficiency to 90% or more.” Kelly explained that this is a two-step process which has hot gasses on one side of the tube and cold lake water on the other side which results in “a lot of sweating”. “This process results in the heating of their 32-40 degree lake water to +150 degrees with "free" exhaust gases rather than using live steam from the boiler, which is how they save a lot of money.” Kelly said the lake water is pumped into the Kelden supplied 1060 gallon vertical tank, then through the single stage condensing stack economizer and back to the storage tank. After the make-up water in the tank is heated up by the boiler exhaust gases, it is then fed into the Hurst deaerator prior to being pumped into the Hurst 500 Series 150# Design Boiler. Calculations indicate this entire system should operate in the 91-92% efficiency range, which is an extremely desirable result. Our capacity has increased from about 6,000 barrels per year to over 10,000 barrels and with a few additional plant improvements we can reach full capacity of 20,000 barrels per year. Kulsveen is very pleased with the new installation, and with Hurst Boiler. “Hurst built a truly custom solution for us and we couldn’t be happier. Our capacity has increased from about 6,000 barrels per year to over 10,000 barrels and with a few additional plant improvements we can reach full capacity of 20,000 barrels per year. Our fuel cost has been reduced significantly because of improved design and efficiency. We haven’t seen the full benefits yet, but so far we’ve reduced our fuel consumption by roughly 12%."